How can you provide a pleasant customer experience? Here are three surefire ways that can help you to fulfill customer's expectations and provide a consistent customer experience. A pleasant customer experience is one of the two main reasons people stay loyal to businesses (the other reason is having a great product). As Katrina Lerman writes for AdAge, “we are loyal to the companies and retailers who show us they understand us through the products they offer and the customer experiences they create”. If you’re not planning on increasing customer loyalty yet, you’d better know that bad customer experience is the main reason people leave a business too. 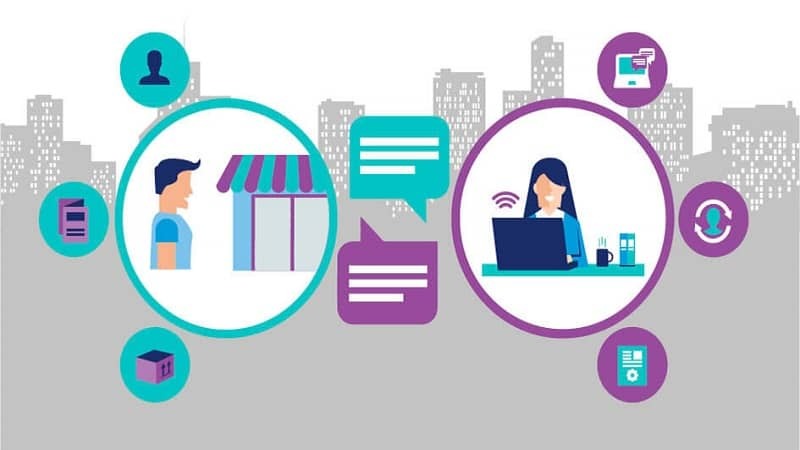 According to Customers that Stick, 82% of consumers in the US said that they stopped doing business with a company due to poor customer experience. The question is how can you provide a pleasant customer experience? Here are three surefire ways. Too much marketing can get out of hands sometimes. In many cases even after leads are converted into customers, they are still shown the same old marketing messages over and over again. The same old product or content offers and the same old retargeting ads and promoted content can only make your customers frustrated. People’s browsing and social media experiences are ruined by excessive hard-core marketing. 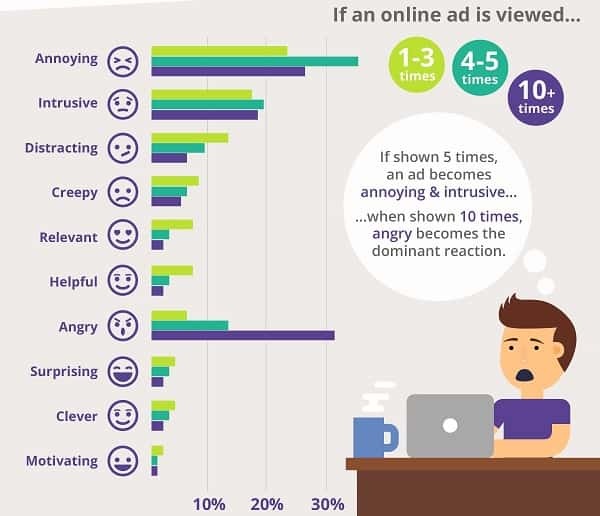 Data from a report by InSkin Media show that repeating online ads more than 5 times could make them annoying or intrusive. And repeating the ads more than 10 times can make people angry. The report also shows that whereas ads displayed before the researching phase could increase the likelihood of buying, ads displayed after the purchase are 4 times more likely to discourage future purchases. Frustration is sure a major reason for high churn rate. Now, in order to avoid this, first, you need to have a good understanding of your customers’ buying cycle. If downloading a whitepaper or completing a form is determined to indicate that a person has entered the evaluation phase, then stop sending them a general blog post or checklist. Instead send them more case studies, samples, or demo videos which are more desirable for the evaluation phase. Send a more personalized email by segmenting your email list. When using retargeting ads and ad networks, remember to segment your target audience by inserting the retargeting pixels in the appropriate pages instead of your homepage. Assign different well-designed ads for each audience segment and set the display frequency in order to avoid showing the same ad over and over again. And finally, don’t forget to insert a burn pixel in the conversion page to make sure that the people who have completed your desired actions are not shown your ads. Now, back to you conversion optimization lovers. Time to make sure you’ve done your job in determining when to convert your visitors. Is “early” conversions timely for you or do you need to prolong the brand interactions between you and your customers? (You might need to take advantage of a CRO consultant to decide). If the second, then you know what to do. In this case, early converters are more likely to cancel their purchase or stop doing future business with you. You need to avoid this scenario because first of all, the person who quits has a bad experience with you and might spread the word about it, and second, you have undergone some charges to nurture him and give him access to your products with no, or a very low, ROI. Now, in order to deal with this problem, you need to make sure your converters are well-informed and interested in your product. Do they understand the value you’re offering? Are they convinced that your product is fit for them? One way to make sure of this is increasing the number of times your new visitors return to your website or the amount of time they spend on your website before they convert. As for Moz, people normally visit their website 8 times before they sign-up for the free trial. And Rand states clearly that for them there is a strong correlation between the time spent on the website and customer loyalty. An article on Kissmetrics also builds on Rand’s argument to offer a couple of solutions. For instance, it argues that you need to map your CTAs on your website according to the sales funnel stages. So instead of showing your free trial or buy now CTAs to your new visitors, you need to nurture them first by showing learn more or additional info CTAs. After Finishline revamped their website completely, they lost $3 million in sales in just weeks. This should come as no surprise as the new looks of the website left their return customers totally perplexed. The lesson to learn from this million dollar mistake is to make sure that even in the face of the call for drastic changes, your return customers will still get what they’ve been expecting from you all along. If branding is all about consistent value propositions and consistent need fulfilments, then what you need to do to keep customers buying is be a trustworthy brand that always delivers what it’s promising. Consistency is a fact that no one can neglect, but what should we do to infuse innovation into our customer experience? After all, innovation is the hallmark of our digital world -- you just don’t want to fall behind. While consistency is important, adapting to the new landscapes and exploring new “business angles” (i.e. unpredictability) is also necessary to break through the noise and distinguish your business. But with every change should come the same consistent values offered to fulfill what customers came to you in the first place. There are only two ways you can have loyal customers. One is having a great product that, as Consulting explains, transforms customers to their desired states (and the more valuable the desired state is the more people are willing to pay), and the other is providing a great customer experience. They target their customers with the same old marketing messages. They fail to consistently fulfill their customer's expectations and don’t provide a consistent customer experience. Hopefully, the advice in this article helps you avoid these mistakes. Mostafa Dastras has written for some important companies such as HubSpot, WordStream, SmartInsights, and MarketingProfs. What keeps him up at nights is how he can help his clients increase sales with no BS content marketing (or how people can grow an email list). Visit his blog, LiveaBusinessLife, or connect with him on LinkedIn to get him to write for you. It’s a more practical approach and the ways adopted are able to boast customer experience. @Mostafa Dastras focuses on product development and it’s marketing to retain the loyal customers. Agreed upon the point of consistency which is highly recommended to improve customer satisfaction. Great overview of the 3 points. We should make a great product and avoid the mistakes you noted down in the article to improve customer experience.